Despite the apocalyptic-scale floods this country has been undergoing over the last months, the first sign of spring is emerging. SNOWDROPS. I think this simple, understated flower holds a special place in our hearts – the National Trust even lists its ‘Top spots for snowdrops‘. It is the first sign that nature is coming back to life after the Winter powerdown. Although they do not signal sunny days any time soon ( no, it will be the yellow flowers later in the season that will do that) , snowdrops seem to gently whisper that hope is not lost, that the life cycle continues. And as Spring progresses so will Mother Nature’s palette, blossoming into a full array of pastels. But for now, She is marking this new year with white. White frees us from our past; it baptises us with its ‘lack’ of colour – it offers us a new beginning. In many cultures and religions throughout history white has represented the divine, free from earthly imperfections, and the pure, free from earthly taints. ‘God loves white clothing, and he has made paradise white’ is an Islamic saying attributed to the Prophet. The white lotus of the Buddhist tradition signifies spiritual and mental purity. In the Druid tradition of the Celts white also signals purity and innocence. In the Native American Medicine Wheel, white represents peace and serenity and is worn to show a lack of artifice. On Yom Kippur, the Jewish Day of Atonement, the Grand Rabbi traditionally wears white, symbolising his connection with God, and married men wear an article of white to symbolise the presence of angels. In the Christian church, the Pope wears a white cassock, signifying extreme purity; brides marry in white to illustrate their chastity and children are christened, confirmed and buried in white as witness to their innocent, untainted souls. White is the clean slate that allows us to begin again. It signifies purity in the moral, spiritual and physical dimensions. White is symbolic of divinity, virginity, clarity, transfiguration, innocence, righteousness, saintliness and cleanliness. White is the blank canvas of eternity. 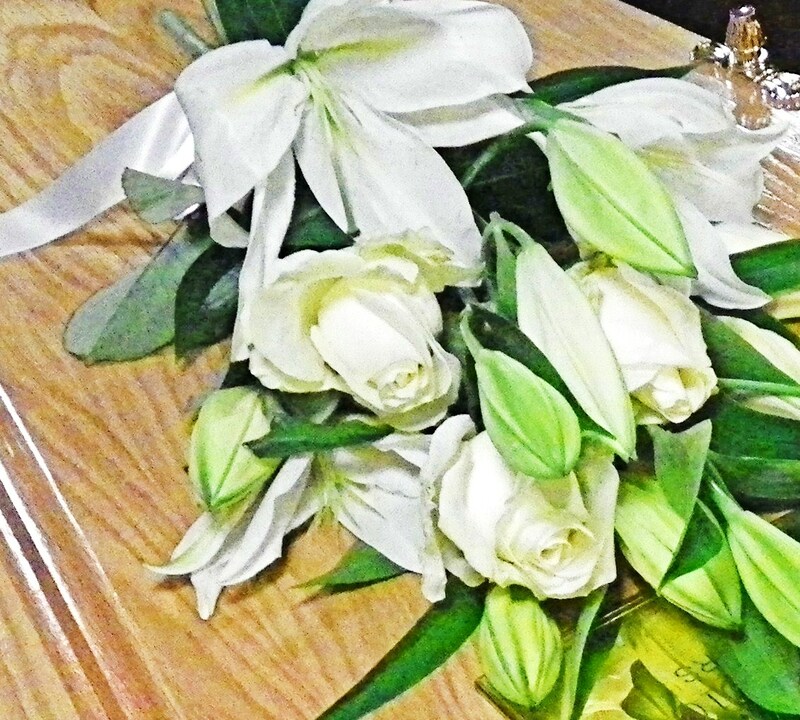 And in many cultures when we choose to mark someone’s death, irrespective of age, and honour the sanctity of the life that has gone and the purity to which the soul is returning, we traditionally choose white flowers. Maybe the white of the funeral spray somehow also suggests, as with the white of the snowdrop, that all hope is not lost. Previous Post When is it OK to wear Denim? Beautiful piece and such a peaceful photo. 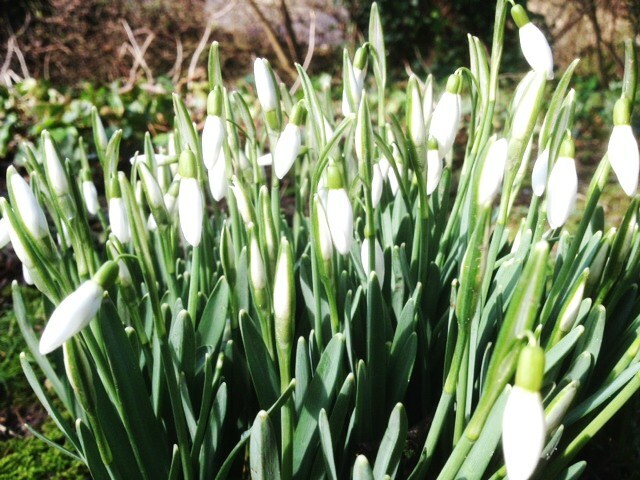 That’s so right about snowdrops bringing hope. They’re as friendly and welcome as a Robin Redbreast in the winter garden. We were very clear about having white flowers at my mother’s funeral as it was such a turning point in my family’s life and the colour seemed to have gone from our lives, whereas at my father’s funeral we had the brightest and more colourful flowers, as though celebrating his reunion with my mother. So beautifully written – I so enjoyed reading this lovely piece. Thank you. A lovely thing to say. Thank you for sharing that really touching aspect to such difficult times. It’s strange, but during events of heightened emotional intensity, colour suddenly takes on extra significance. Such a moving and beautifully written post. A lovely compliment from such an affecting artist.